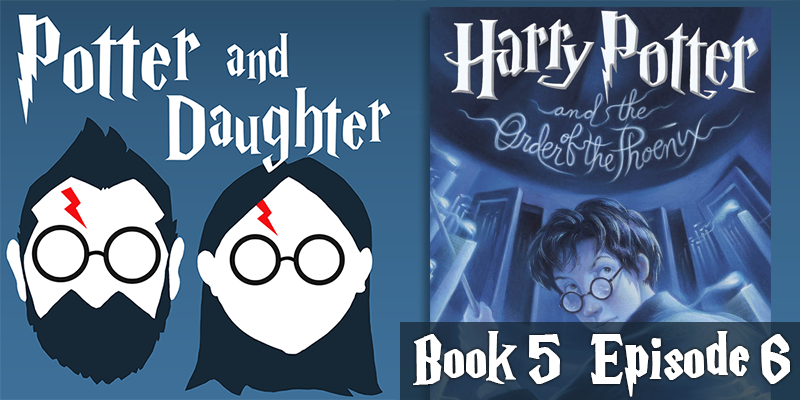 In episode twenty-two of Potter And Daughter Joel and Lily wrap up Harry Potter And The Order Of The Phoenix by discussing chapters 33-38. Harry is in a hurry to save Sirius, but first he must deal with the meddling Professor Umbridge. Harry and his friend take flight to London, and find a multitude of mysteries waiting for them at the Ministry of Magic. Deatheaters face off with students for control of the prophecy, and Dumbledore faces Lord Voldemort in single combat. Harry suffers a loss too great to bear. Just as he is willing to give up the fight, Dumbledore finally opens up to him and begins to prepare Harry for the war to come.